Formula 1’s most famous team was launched in 1929 to run the private Alfa Romeos of a number of wealthy amateurs. Responsible for the works cars by the end of the following decade, Enzo Ferrari relocated from Modena to Maranello and turned manufacturer at the end of World War II. Franco Cortese’s Ferrari 125S scored the marque’s first outright success in the 1947 Rome Grand Prix and Alberto Ascari won the Swiss and Italian GPs during 1949. The team entered the new F1 World Championship at its second race in 1950. José Froilán González was responsible for Ferrari’s win in a championship race – the 1951 British GP at Silverstone – and Ascari was only thwarted in that year’s standings at the final race. The Italian dominated during the Formula 2 years – winning the 1952 and 1953 titles – but the team struggled once new F1 rules were introduced a year later. Lancia’s withdrawal in 1955 led to Ferrari taking over the Vittorio Jano-designed D50s and that restored it to competitiveness. 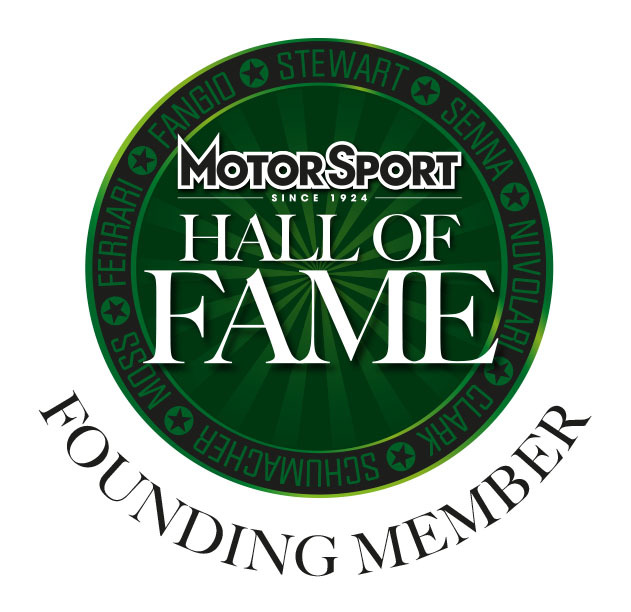 Juan Manuel Fangio won the 1956 title with a Lancia-Ferrari D50 and Mike Hawthorn became Britain’s first World Champion two years later. That was driving the V6 powered Dino 246, the car named after Enzo’s son who had died at the tender age of 24. Ferrari's obsession with engine power was perhaps to the detriment of chassis design but he was forced to follow Cooper’s lead and introduce the rear-engine Dino 156 in 1961. The famous “shark nose” Ferrari delivered that year’s title for Phil Hill although that came at a cost – Wolfgang von Trips killed at Monza after crashing into the crowd. John Surtees snatched the World Championship at the final race of 1964 but he stormed out of the team in 1966 after a disagreement with Team Manager Eugenio Dragoni. It was a decade before Ferrari would win the world title again. The arrival of Luca di Montezemolo as Team Manager and the previously unheralded Niki Lauda returned Ferrari to its former glories. The Austrian won the 1975 and 1977 titles and would have also prevailed in 1976 but for his near fatal accident at the Nürburgring. Lauda also grew tired of the Ferrari politics and it was Jody Scheckter who led Giles Villeneuve – a favoured driver of Enzo – in a championship 1-2 in 1979. Villeneuve was killed in 1982 and although Ferrari won the constructors’ title that year and the next, it would be the new millennium before it prevailed again in the drivers’ standings once more. Enzo Ferrari died in 1988 and his team struggled into the 1990s. Montezemelo returned as Chairman in 1991 and, as well as turning the road car operation into profit, he set about restructuring the F1 team with Jean Todt at the helm. Michael Schumacher arrived in 1996 and Technical Director Ross Brawn followed him from Benetton a year later. That led to a run of unprecedented success – Schumacher and Ferrari crowned World Champions for five years in a row from 2000. Kimi Räikkönen was chosen to succeed Schumacher who retired at the end of 2006 and the Finn snatched the drivers’ crown at the end of the dramatic 2007 season. Constructors’ champions a year later, Ferrari slipped into one of its relatively fallow periods despite the considerable driving talents of Fernando Alonso. Montezemelo resigned in November 2014 with and Sebastian Vettel replaced Alonso as lead driver for the new season – the German returning the team to winning ways but unable to stop Mercedes-Benz from winning the title. Ferrari and its Prancing Horse symbol remain icons at the centre of Grand Prix racing’s appeal.